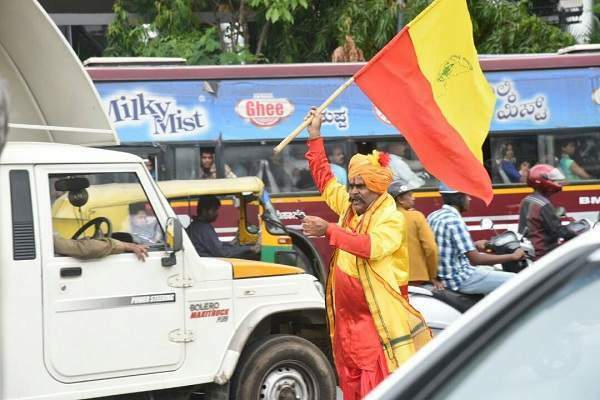 BENGALURU: The deepening divide between the founders of Karnataka Pragnyavantara Janata Paksha (KPJP) and its star leader resulted in the latter’s resignation from the party on Tuesday. Announcing his decision, Kannada actor Upendra said that he would launch his own party 'Prajaakeeya' and contest the elections. The decision was taken after he met with the candidates he had interviewed earlier to contest the upcoming Assembly polls in the State. The differences between Upendra and chief general secretary of the party, Mahesh Gowda, spilled out in the open on Monday after Gowda accused the actor of having a 'dictatorial attitude'. Earlier, Upendra, following a tumultuous meeting with office bearers on Sunday, had indicated news about 'Prajaakeeya' in a tweet on the same day. It can be recalled that the main cause of rift within the party was due to issues pertaining to distribution of 'B' forms to party candidates. While Mahesh had alleged that Upendra was trying to be the ultimate authority in the party, Upendra had claimed that Mahesh and others were selling B forms for money.